Automation of the different operating processes marks far-reaching progress in the mining industry. The logical advancement is a consistent networking with the end-to-end communication and control concept developed by BARTEC. On the basis of the Profibus and Ethernet technology, components and complete systems designed by BARTEC provide an optimum flow of information in the entire mining system - a milestone in process automation and a new benchmark in mining. BARTEC provides trend-setting quality for professional automation underground and aboveground. Our Automation Technology not only provides central devices but also decentralised peripheral devices for every case of operation. 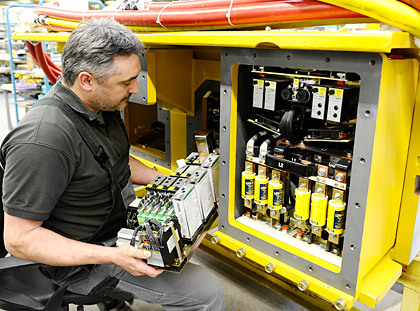 The intrinsically safe PROFIBUS enables devices to communicate among each other.